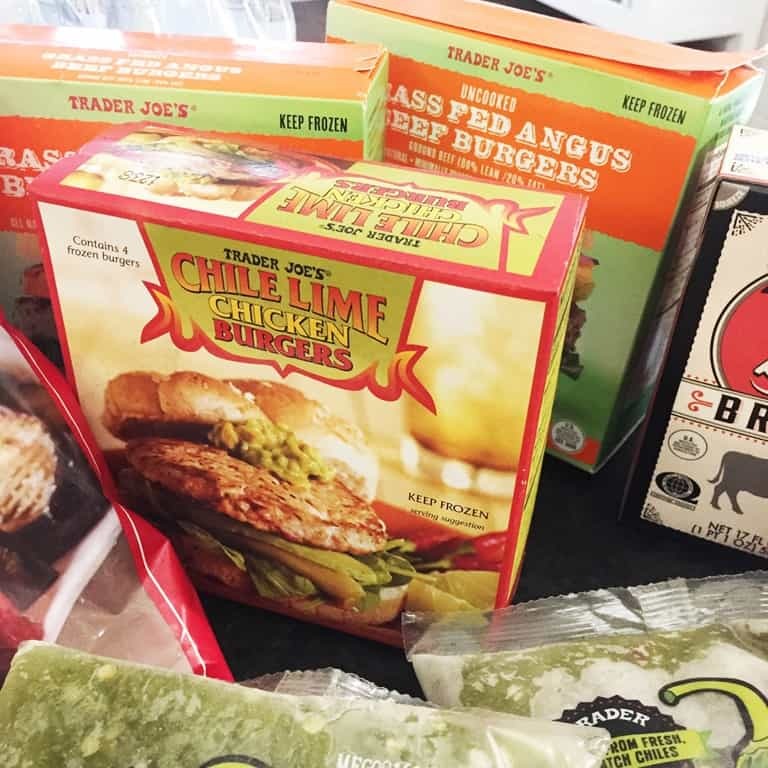 A few years ago, Birmhingham built its first (and only) Trader Joe’s. I had heard about TJ’s throughout the healthy organic food circles and we stopped at one in Atlanta a few times. 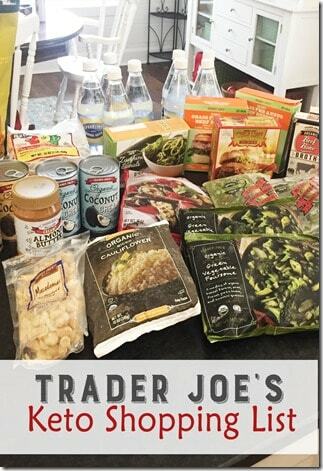 Little did I know then how much I would come to depend on Trader Joe’s for some keto food items that are reasonably priced and taste outstanding. I try to get to Birmingham at least once a month. When the spring Pepper Place market season opens, I usually make the drive every 3 weeks to go to the farmers’ market, Trader Joes, and Penzeys. 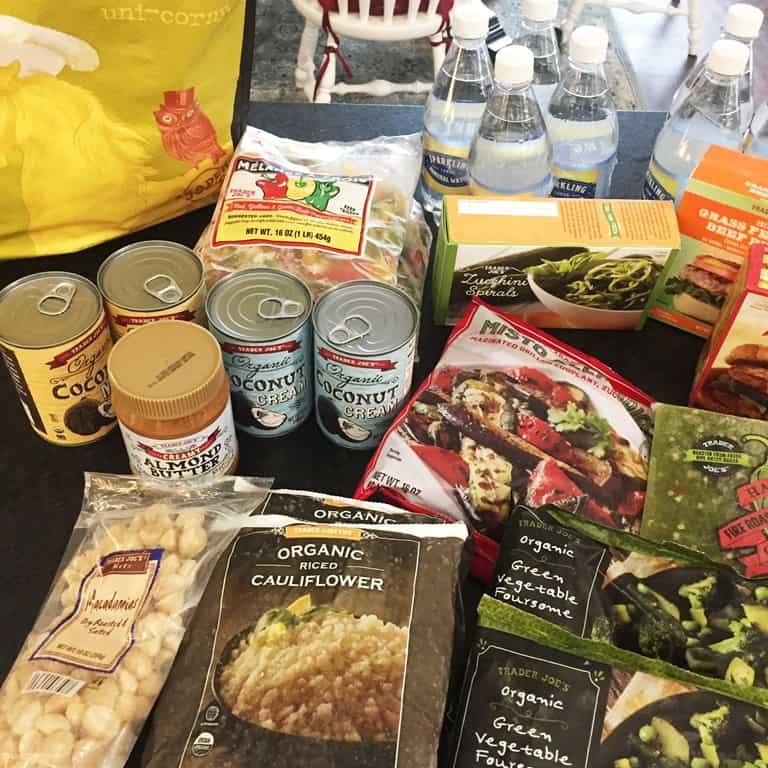 On my last trip a couple of weeks ago, I loaded up on some Keto staples. Almond Butter– The ingredient list is roasted almonds. That’s it. And it’s a fraction of the price from stores here in Tuscaloosa. Coconut cream and milk– Coconut cream is often used in recipes to add a creamy consistency. Coconut milk is very popular in paleo recipes because it replaces milk and dairy products. Coconut milk is very low carb so it’s used in Keto, Paleo, and Whole 30 recipes. Macadamia nuts-I keep these on hand at school. If I skip a meal because I left it on the counter at home, these come in quite handy. Reasonably priced and they taste so good. Sparkling water– The lemon sparkling water is my favorite of all the waters I have tried. I stock up and ration them between the cans of La Croix and Target waters. Chili Lime Chicken Burgers-I will be the first to admit that I’m not fond of ground chicken, but these are really good. I love the heat and the lime together. Beef angus burgers– I keep these for nights when I can’t think of anything else to cook and I didn’t leave anything in the slow cooker. Roast some broccoli and this is a dang good meal. 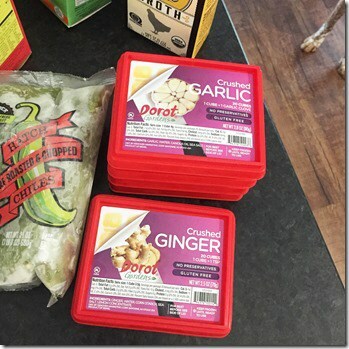 Crushed frozen garlic and ginger– I wish I could find these in stores around here. I love this stuff. I have plenty of powdered garlic and ginger, but this frozen crushed is my first choice. 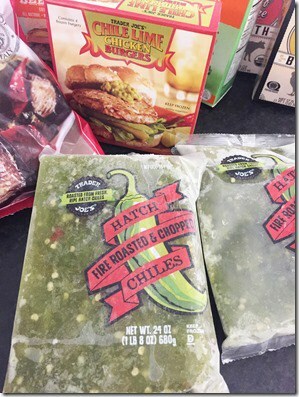 Roasted chopped chiles-Much of Keto cooking is simply pairing a protein with a vegetable. 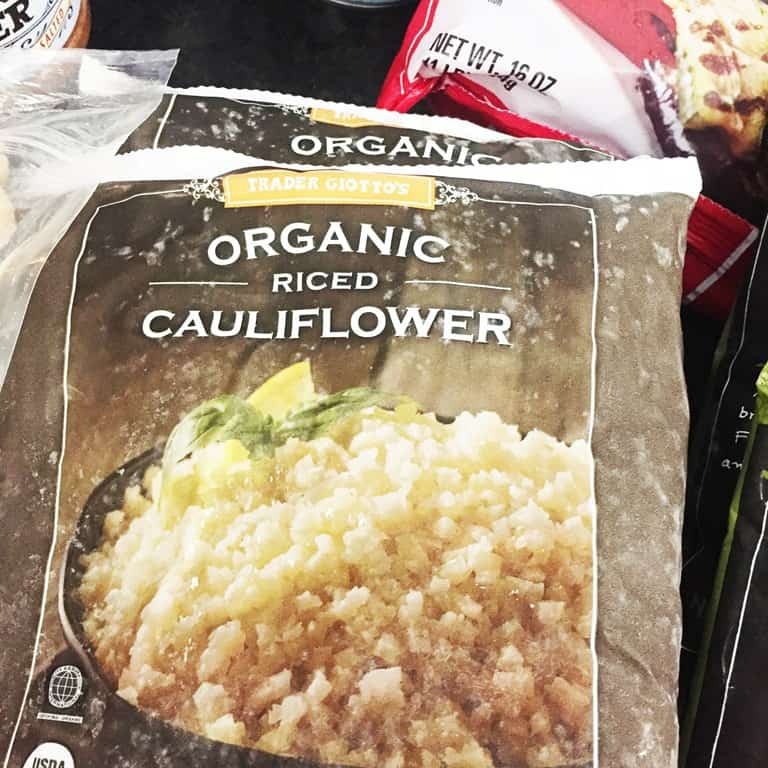 It’s easy to get stuck in a pattern of unflavored protein and a pity vegetable. 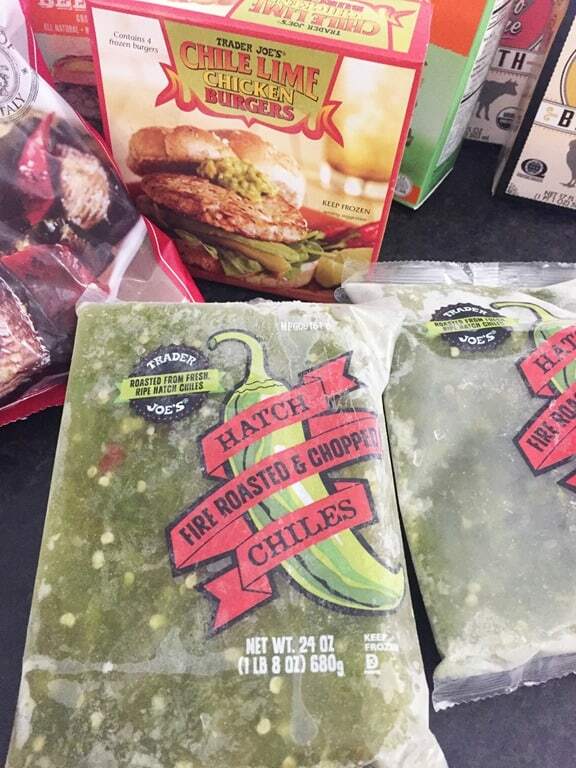 Chopped chiles work in so many things with a southwest flavor. Green Vegetable Foursome-This is new to me and I’m glad I found it. The peas do not contribute many carbs so it still works for low-carb cooking. I saute’ this in butter and flavor with anything that appeals to me at the time. I serve this with one of those burgers above. 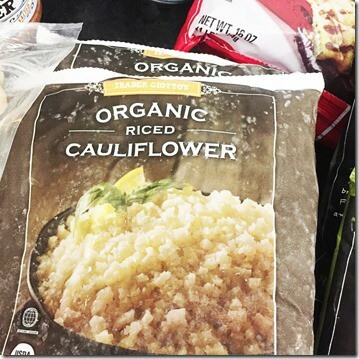 Riced Cauliflower-This is the best riced cauliflower. Hands down, the best. I cook this frozen in a pan with a little butter or oil for 3 minutes, max. 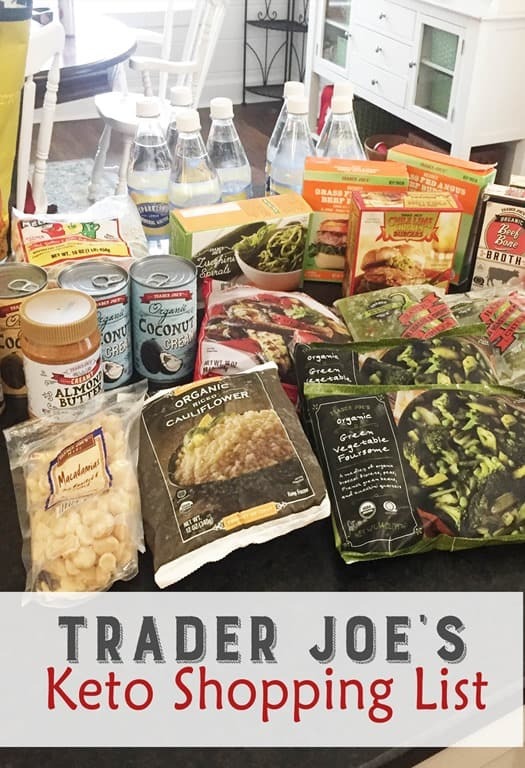 That’s my latest round up of keto staples from Trader Joe’s. When I go back in a few weeks, I hope I find some new items to try and I’ll update this post. Happy Keto cooking!